Virtual Dom : Lets you write HTML as a function of state. Virtual Dom is concept given by React and is considerably fast when we compare it to traditional DOM rendering. 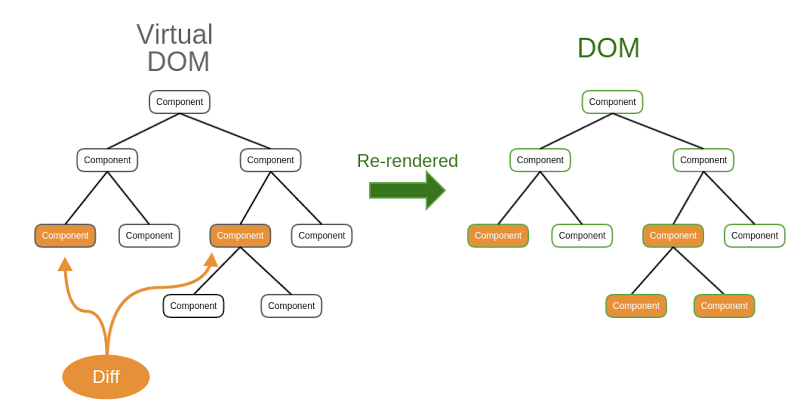 React creates an in-memory data structure cache, computes the resulting differences, and then updates the browser’s displayed DOM efficiently. This allows the programmer to write code as if the entire page is rendered on each change, while the React libraries only render subcomponents that actually change. Hit the 💚 button to make it reachable for more audience.